3. One year warranty free. 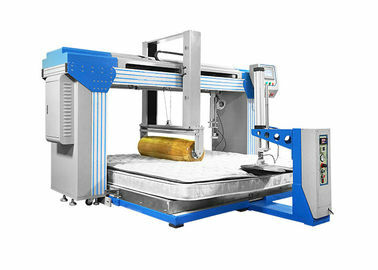 Cornell box spring mattress & foam mattress Testing machine apply to Innerspring ,Box spring mattresses and Foam mattress. 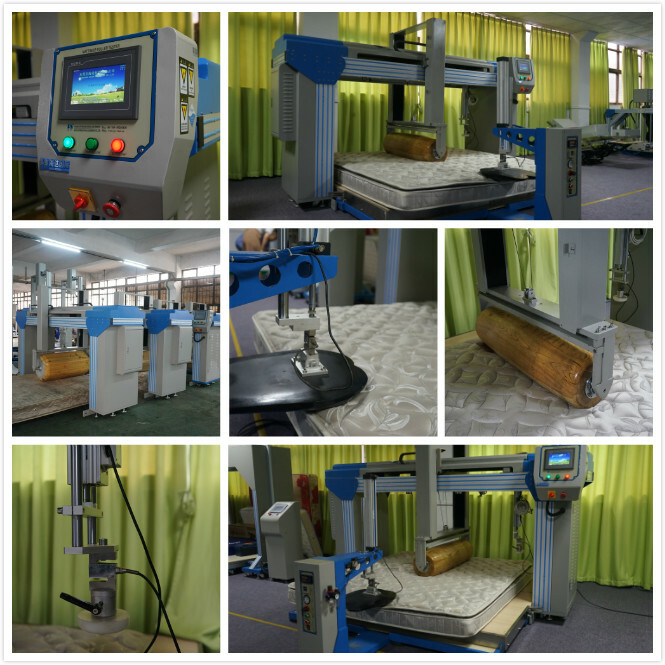 Cornell box spring mattress & foam mattress Testing machine is used to test the long term capacity of bedding to resist cyclic loading. 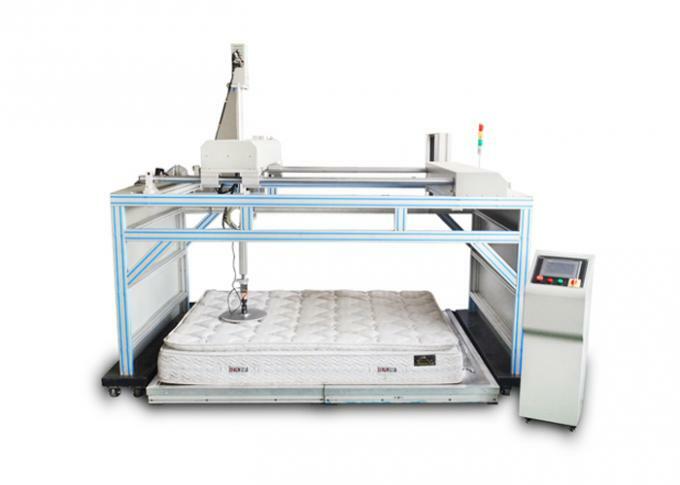 Cornell box spring mattress & foam mattress Testing machine consists of a double hemispherical ram head on a manually adjustable shaft. A load cell is located on the ram head to measure the force being applied to the mattress. 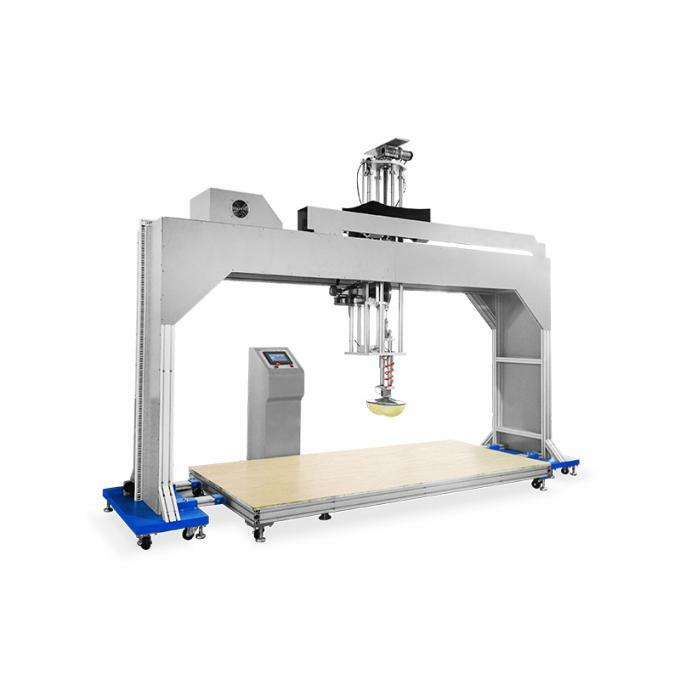 The shaft is connected to an adjustable eccentric which is rotated by an electric motor at up to 160 cycles per minute, variable. Test objectives Use specific block impact on the mattress over and over again, to assess their durability, and the fastness of mattress spring . 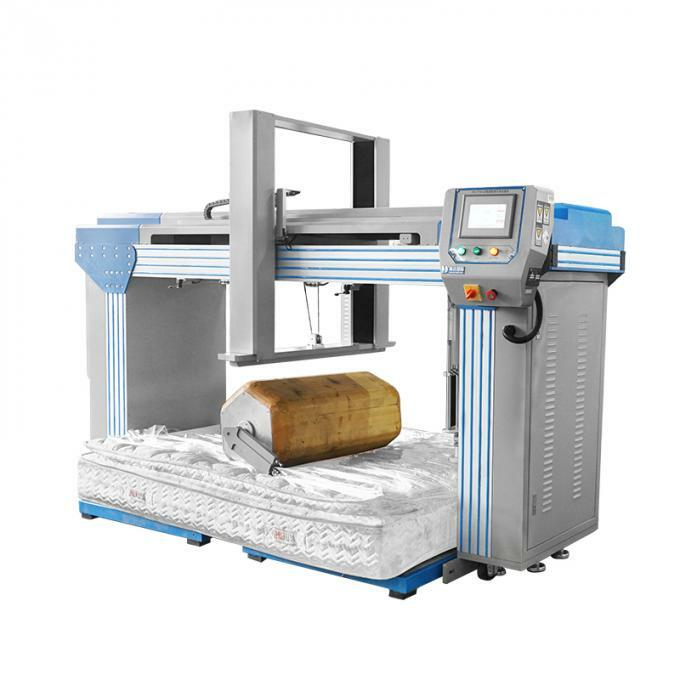 Use a sphercial protruding at the boyyon of the circular rigid plate loading, record force and deflection to analysis, then assess the mattress hardness values and hardness levels.